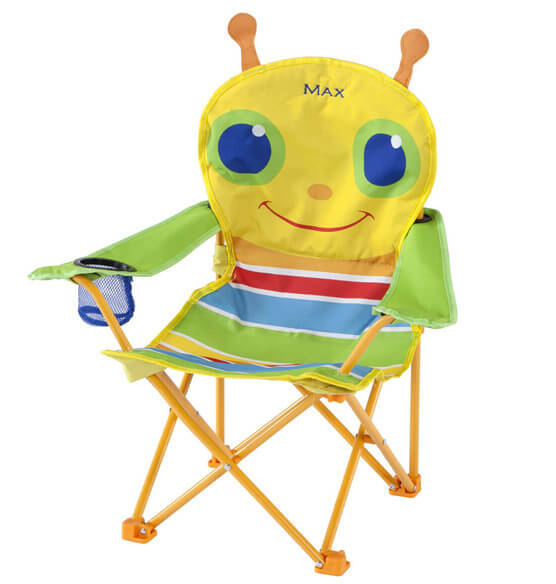 Bold stripes and Giddy Buggy's big blue eyes provide an inviting seat when your busy child needs to take a break. 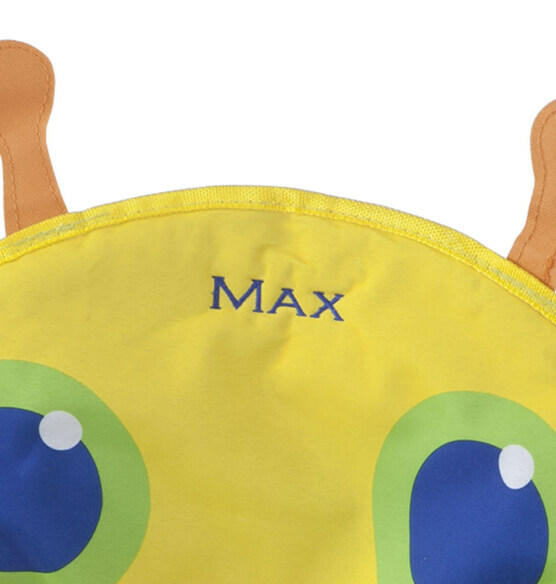 This delightful Melissa & Doug® Personalized Giddy Buggy Chair with sturdy metal frame also has a handy cup holder positioned at your child's fingertips! 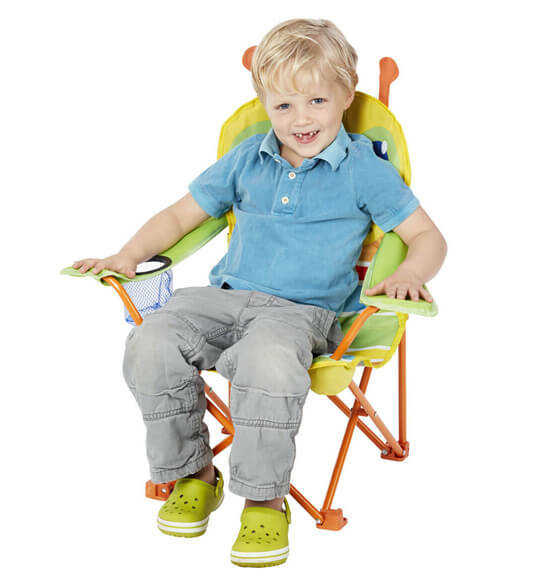 Durable and water resistant fabric and a convenient storage bag make this kid's camping chair perfect for trips to the beach, the park, the campground, or anywhere your child's imagination may lead! Express shipping not available. Please allow 2-3 weeks for delivery.